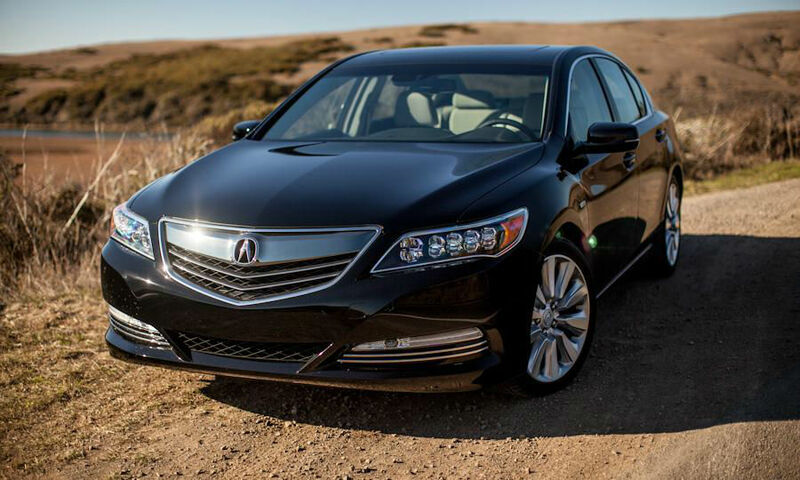 The 2014 Acura RLX is from the ground up and at first glance, has some striking features that give it a modern, sophisticated air, beginning with the revolutionary all LED headlights. 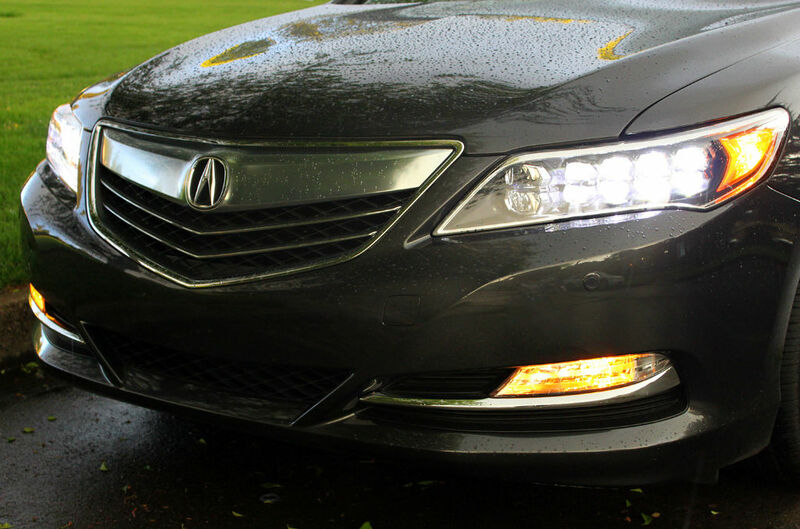 Instead of a large bulb and small LEDs to serve as daytime running lights, 2014 Acura RLX combines the two with the same eight LEDs in each headlight clusters with both tasks. 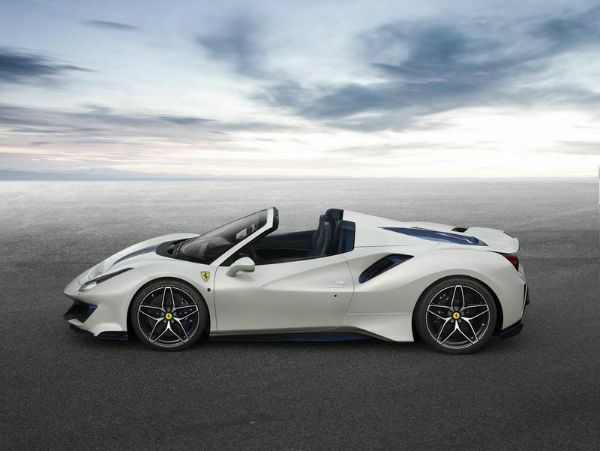 It is the first car we’ve seen use this setting and although it may take some time to get used to, is the new design, a stylish step forward in that department. Eighteen-inch alloy wheels are standard, while the 19-inch wheels are also available. 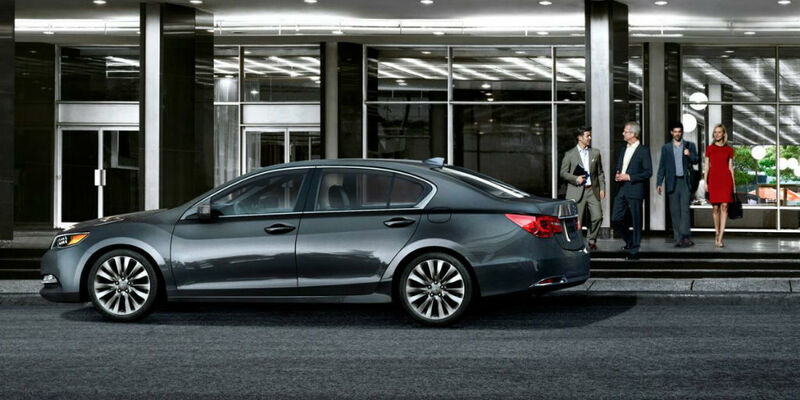 The motorized side mirrors are also heated and looks down when reversing to show the obstacles near the vehicle. 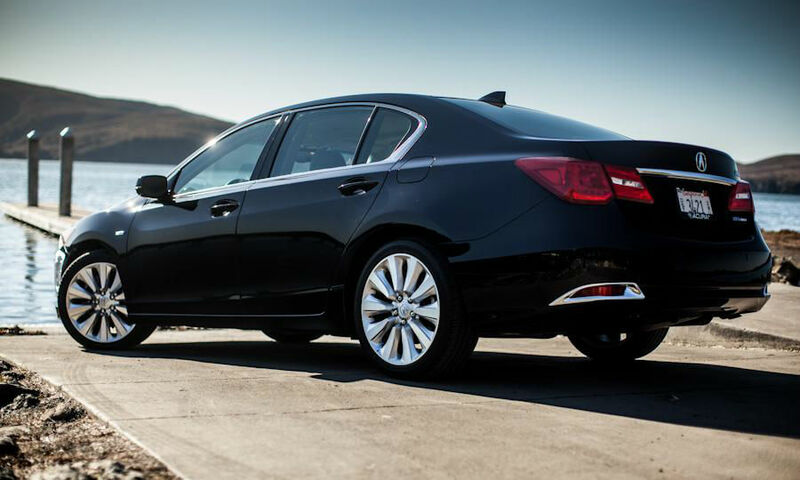 Under its skin, the 2014 Acura RLX also a lot of mechanical innovation that improves handling and performance, and comfort. 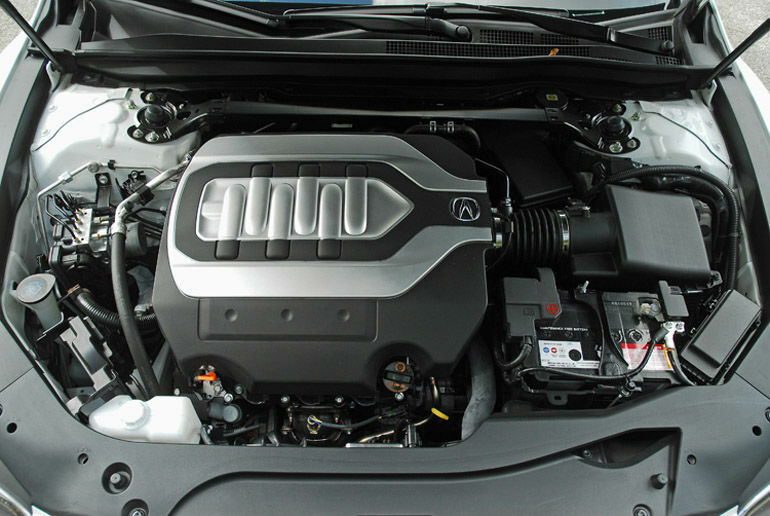 Under the hood is a 310-horsepower, 3.5-liter V-6, which is mated to a six-speed automatic transmission, the 2014 Acura RLX is front wheel drive. 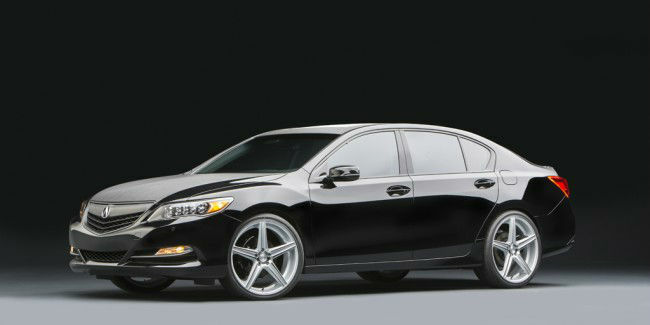 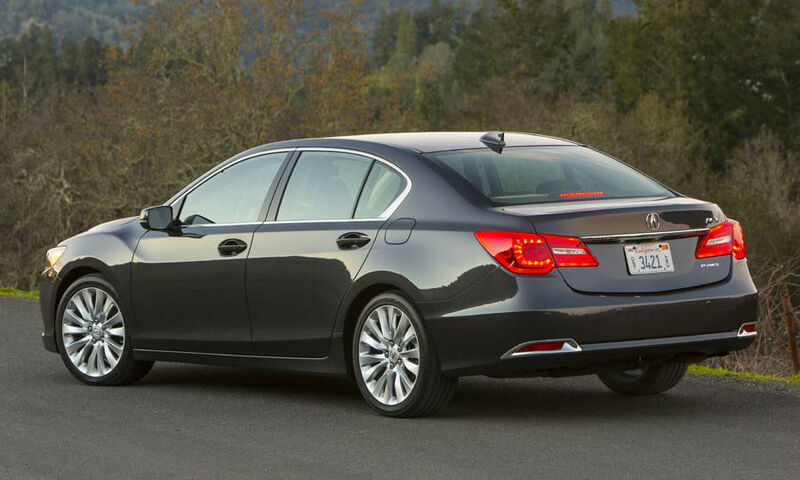 Suspension and chassis are where RLX breaks new ground and with the standard four-wheel steering. 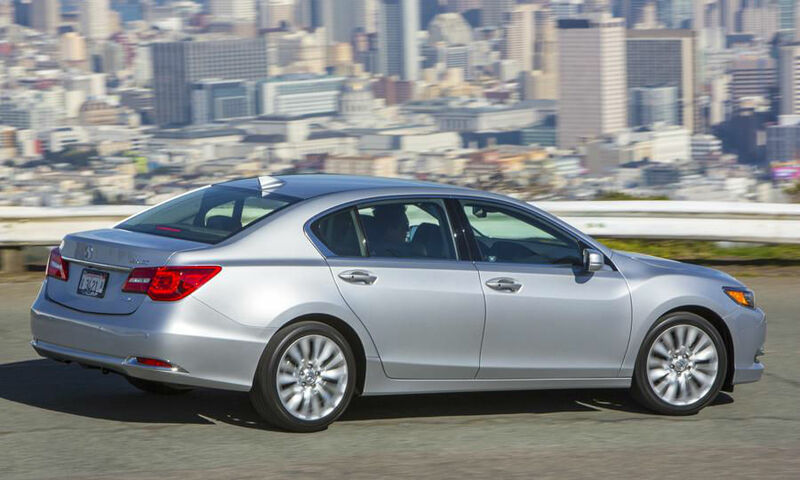 Four-wheel steering allows the rear wheels to turn both directions, offering tighter cornering and smoother lane changes at high speeds. 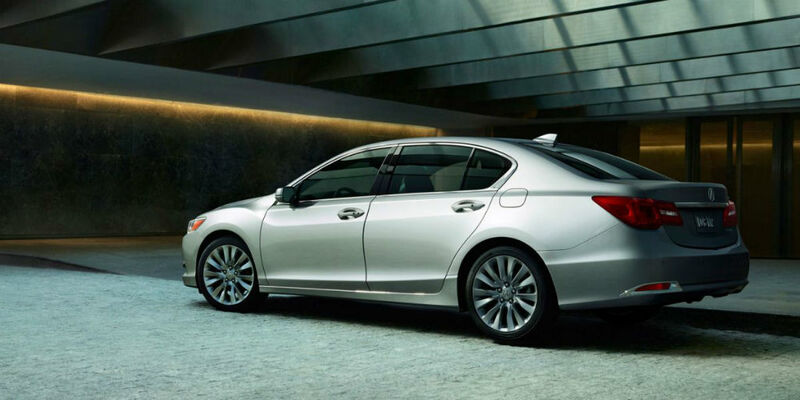 There is also the Acura standard Agile Management Assist, which can brake individual wheels and helps keep 2014 Acura RLX in line with less control force. 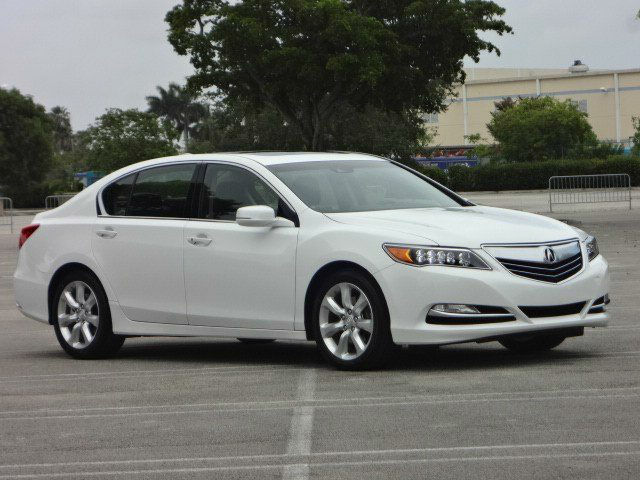 Inside, 2014 Acura RLX standard leather upholstery (Milano perforated leather seats are optional) to go along with metallic and faux wood inserts. 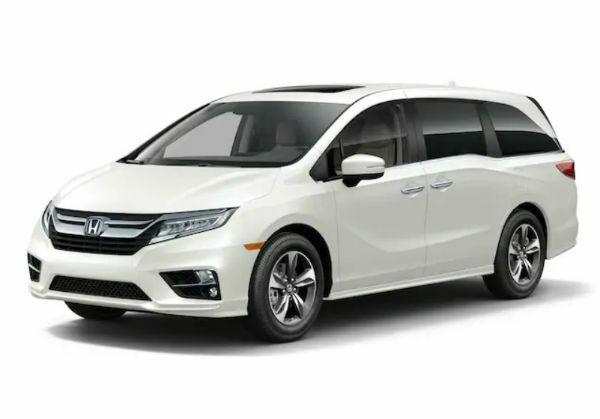 The technology laden cabin offers not one, but two large screens in the instrument panel, the lower residential audio and climate control, while the large, high screen can be used to display other information like directions from the optional navigation system. 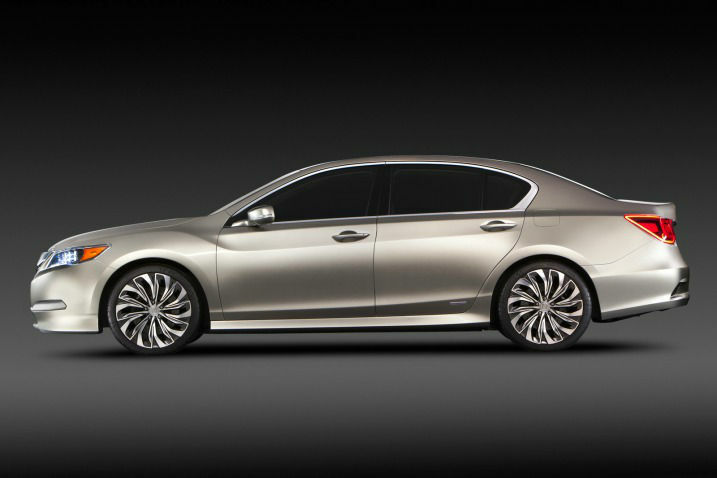 Bluetooth, Pandora internet radio interface, HD radio, power moon-roof, three-zone climate control, and a USB/iPod port is standard. 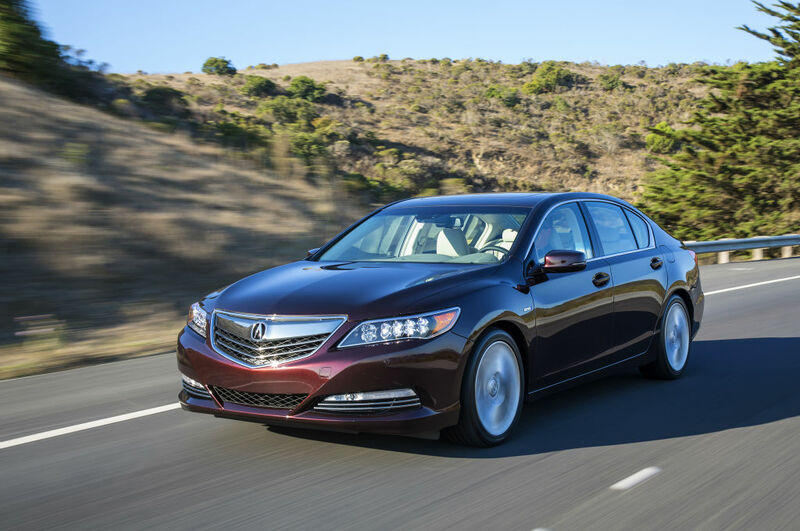 Safety Technology in cars has come a long way in recent years and 2014 RLX is no exception. 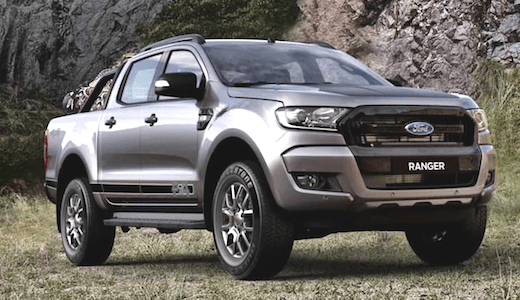 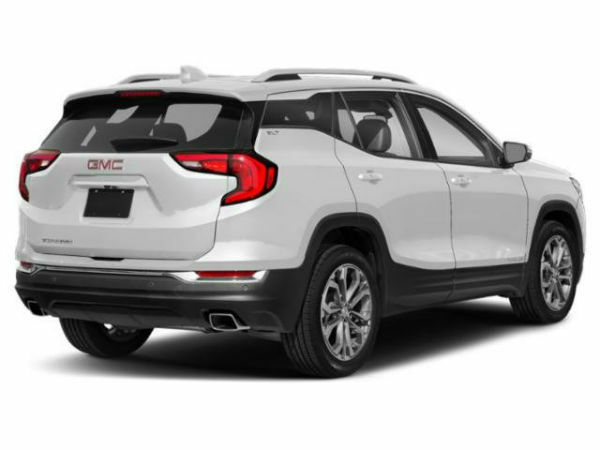 Standard safety features include front, front side impact and side curtain airbags, electronic stability control, antilock brakes, backup camera with guidelines, and AcuraLink that can summon help in the event of airbag deployment. 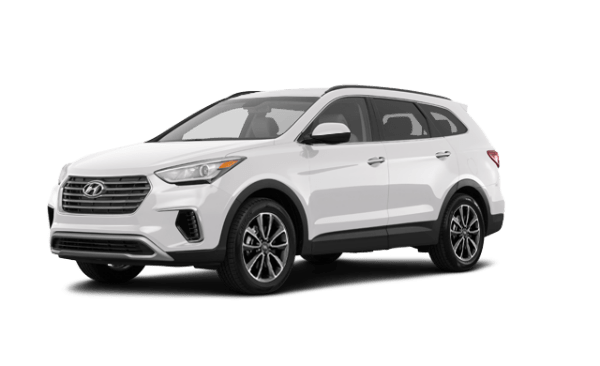 There are also plenty of optional safety technologies, including lane departure warning, blind spot monitoring and forward Collision avoidance System, Collision Mitigation Braking system that automatically brakes if the car senses an frontalkollisionär imminent. 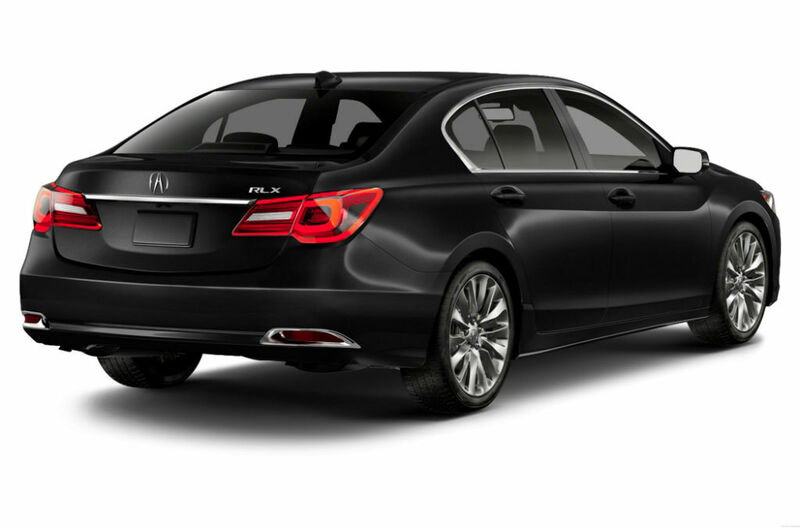 Larger, more luxurious and with new technology inside and out, the 2014 Acura RLX a suitable car to bear the Acura flag in the future.